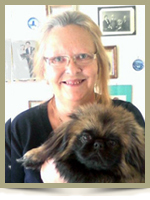 Nielsen, Lone Axberg, 62, of Liverpool, passed away on Wednesday, October 30th, 2013 at home. Born in Aalborg, Denmark, she was the daughter of the late Knud and Martha (Jensen) Nielsen. She is survived by her daughter Shannon Davis (Justin Wong), of Mississauga, Ontario. Sorry to hear of Lones passing.We will miss her and Oliver going by on their walks.Thinking of you at this difficult time. Lone, my friend and neighbour, I’ll miss you. Lone was a very lovely woman. We will miss her and Oliver’s visits at the veterinary clinic. She always had a smile on her face. I was deeply saddened by the news of Lone’s passing. My heart felt condolences to you. I still dont believe she is gone. She was a good friend of mine. Please accept my sincere condolences on your loss. I have wonderful memories of the days I spent working with Lone at Ridgeway Child Care Center in Mississauga. She was a warm,generous and caring lady who brightened everyone’s day that came into contact with her. I especially remember the way she had with the kids at the daycare. The way she danced and sang with them. Even years later there is a song that I associate with Lone and everytime I hear that song I think of Lone and I smile. I am so sorry to hear of Lone’s passing. Please take comfort in knowing that she was one of a kind never to be forgotten. My prayers are with you all at this difficult time. I was shocked to hear of the passing of Lone, she was a very kind person and I always refered to her as a lady. She often brought Oliver to visit me at my shop and said that I was Oliver’s daddy. I will sure miss her wonderful smile. My condolences to her daughter and family. My sincere sympathy is extended to Lone’s daughter, and family. I recently had a chance to see her when she came to Ontario last month. (when she came to visit us at the Region of Peel in Mississauga) I’m deeply saddened by her passing. She was a kind person and will be dearly missed. My thoughts and prayers are with you. I will miss you so much buddy & all our conversations. But the memories will last forever of our dear friendship. Lone had a wicked spirit & tremendous wit. My sincere condoleneces to Shannon & Justin through this difficult time.My prayers & hugs with you both. I am so sorry to hear about Lone’s passing. She was such a nice lady and will be greatly missed. My condolences to her family especially her daughter Shannon – your mom was so proud of you. I had the good fortune to be Lone’s supervisor at the Region of Peel, just before she retired. After her retirement, Lone would send frequent emails updating us on her adventures; her writing was such a joy to read and always gave me reason to take pause and to smile. She was a beam of light in the workplace and a friend to so many… we were blessed to have known her. Lone, you will be greatly missed. God Bless. My sincere sympathy is extended to Lone’s daughter, and family. Just remember Tears are God’s gift to us. Our holy water. They heal us as they flow. My deepest sympathies goes out to Lone’s family. You are in my thoughts and prays. I’m so sorry to hear of your mom’s passing, Shannon. You were the light of her life and the proud topic of many a conversation. We had many good times together and I shall miss her greatly. My sincerest condolences to you. I am deeply saddened by the news of Lone’s passing. To her daughter and family, my prayers are with you at this difficult time. Stay strong and God will assist you. Lone was a very good friend of mine. She gave me great advise on how to be strong and confident. She will be greatly missed… I was deeply saddened to hear of your loss. I want to express my sincerest sympathy to her daughter and the rest of the family. My prayers and thought are with you…. I was so sorry to hear about Lone’s passing. I have the best memories of Lone’s sweetness, her funny disposition and missed her when she retired. My condolences to her family. I will keep you all in my thoughts and prayers. My deepest condolences to Lone’s friends and family, I remember Lone’s smile and her ability to make you feel like you’d known her for years. My thoughts and prayers are with you at this difficult time. I was fortunate enough to have the privledge of Supervising Lone for many years. I was lucky to have a lunch date with Lone just a few months ago. Lone walked into the room with a beautiful bouquet of flowers, but all l could see was her beautiful smile and her big wave! Shannon, she was a beautiful woman with a beautiful heart, and she will fondly and always be remembered just that way. Everyone who had the good fortune to cross Lone’s path was only better for it! She always had a smile and made all those around her smile too! My thoughts with her family during this difficult time. I met Lone 15 years ago through Tim and Karen and I immediately knew that I’d found a kindred spirit. Lone had a big and beautiful presence that filled any room that she was in. She loved life, had a wonderfully wicked sense of humour and was a delight to spend time with. As I read the word’s of everyone who has written condolences before me, it is easy to see that her legacy in this life is to have touched all of us with both her smiles and generous heart. It was a sad say when I was informed of the passing of my dear friend Lone. I met Lone through my husband Ted and we became friends immediately. Lone was my maid of honor almost 33 years ago. Lone gave me great strength throughout the years and I could always count on her for a good laugh, wow did we laugh! Shannon you were the apple of your mothers eye and she loved you so very much. My thoughts are with you at this difficult time. I worked with Lone for several years before her retirement. What a joy of a person to be around. She brought happiness and warmth in every interaction she had with people. Her smile would honestly make your day. We have lost someone who could turn a bad day into something special. While we have lost those fine qualities here on earth, heaven has certainly gained a whole lot. My sincere condolences to Lone’s family and close friends. She will be missed dearly. Rest in Peace Lone. I’ll never forget you. My condolences to you Shannon – you mom was one in a million. My deepest condolences to Lone’s friends and family, especially Shannon. She was so very proud of you. When I started with the ROP she accepted me unconditionally. It was her way. Lone’s bright smile and infectious laugh will remain with me always. You will be truly missed, Lone. God Bless. Lone was a good friend and co-worker and always looking out for others . she always had a smile and a sense of humour . My condolences to Shannon and the rest of the family. She will be truly missed . I am sorry to hear of Lone’s passing. I worked with Lone and she was great to work with. My deepest condolences to her daughter Shannon and family. My thoughts and prayers are with you. Lone you will be missed! My sympathies to the family. Lone had a great sense of humour which was enjoyed by many. I am saddened to hear of her passing at such a young age. We remember best those people who make us smile and remind us that the world is a good and friendly place. For all those reasons I will remember Lone. My sincere condolences to her family. Sending all my love to you at this difficult time. I miss your mom so much. Her humor and big heart, boundless energy, unique take on the world, and capacity for love and acceptance are just a few of the qualities that made her so special. She may be gone from this world but she has left such a wonderfully powerful imprint on so many of us, she will never truly be gone from our hearts. Love you! I was very saddened to hear today (March 19th) that Lone had passed away last October. Lone was part of a group of learners who wanted to enhance her career and we spend seven weeks together in class and I am sure all of us can say ” she was a very funny and kind lady” and will be missed by all those who knew her.